I really like your photography and interviews congratulations!!! Plus, it presents quite a few that cause great impact. I like the fact they are not just trying to promote African culture but the cultures of the now forgotten tribes around the world showcasing the beauty that lies behind what other magazines won’t show you about these cultures. I'm a fashion illustrator, I found this site externally creative, inspirational and I would like to thank everyone involved. Please continue the amazing work! 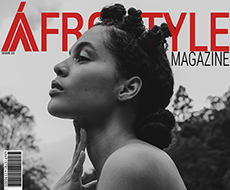 I am in love with this AfroStyle Magazine. This is just woooow!!! Awesome reference site. The articles I have read are ambitious too, thank you. Exceptional indeed. One of the Best. Simply Elegant and Outstanding. Their Creativity is out of this World. Love, Love, Love!! Adoro essa página gostaria de representa-los aqui no Brasil, Rio de Janeiro. Hello, I just wanted to say that I get so inspired by your posts. I love this page and it has helped me a lot with getting to know different designers, and sort of how to find myself as a designer. Thank you. And please keep it up. God Bless. Eleganza. Serietà con molto stile senza essere volgare. Senza perdere di vista il business. Complimenti, mi piace molto. Eclettico, all'avanguardia, privo di volgarità, una pagina a passo con le tendenze senza mai perdere il senso del business. Complimenti. Dear AfroStyle! I just wanted to say how brilliant your content is & want to thank you for the lovely work you do. It's really fabulous! My name is Tyler and I just love your magazine. It is inspiring to me! I had to go find you on Instagram. I FOUND YOU!! LOVE YOUR PAGE! I'll just say it's a great magazine you have, and wish you all the luck with that, the clothes are magnificent and the models really beautiful. I would want to see the prices of clothes .Thanks for this tasteful magazine it can only go well. Where can I get this magazine if it possible? I live in Denmark Copenhagen. (Translation: This is a cool magazine). Excellent! I love Africa and your magazine! Hi! I am Ritah from Uganda. I love your work. I would like to know what it takes to be your model. Thank you. Interesting site!! I like it! I am in love with your magazine. I am a model in MN and I want to know what I have to do to get in your magazine. An excellent online publication. Thank you. Love your Beautiful Magazine very much. Your photographs are truly amazing…!! You have the most AMAZING photographs...! Love the magazine! Congrats to you on your magazine!!! Loooove your magazine. It is really beautiful. Keep up the good work. Let me know how I can help. I am interested in the cost and procedures for ordering your publication. I love what I have seen online. Does your magazine come in a print version? I would like a print version for my dental office. Just been on the magazine, I love it. I will have more time to read through.